The second signing of the January window for FC Barcelona is now here. 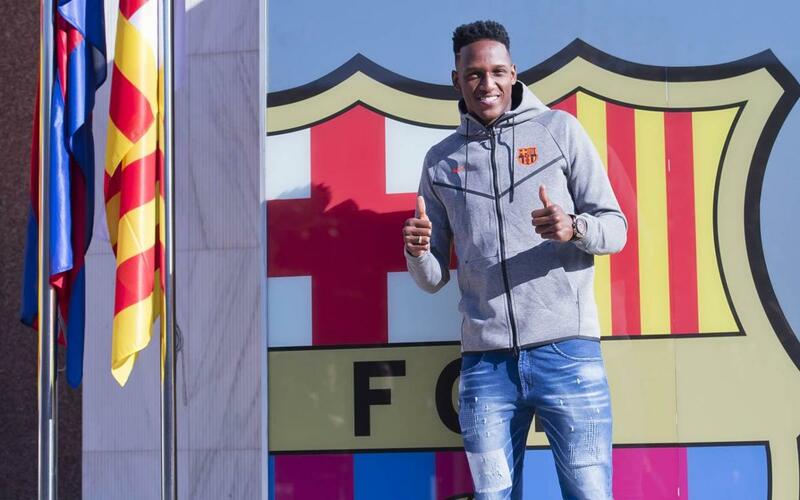 Yerry Mina gave his first brief interview as a Barça player. “For me it’s a source of indescribable pride because I have always dreamed about it and now the chance has come to be here with these great figures,” said the Colombian international. The new centre back arrived at Camp Nou on Friday where the traditional photo in front of the FC Barcelona badge was taken at the Club offices; prior to that the defender underwent his medical at Barcelona Hospital and the Club’s medical services.